A more fun, useful and surprising way to let your friends know what you are in the mood to do and maybe, just maybe they’re in the same mood as you! The users have spoken and we have listened. Who’s in!? lets you show your friends what you're craving to get into and when you might be looking to do it. Whether it’s “Grab a margarita” “asap” or “go for jog” “later on” or even “go golfing” “tomorrow”, Who’s In!? 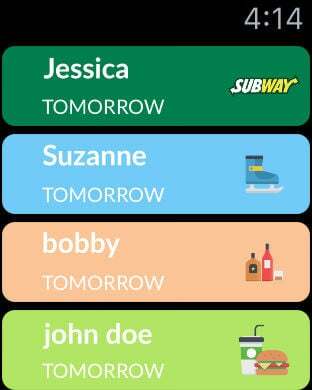 quickly and easily allows you to select an activity, how soon you want to do it and who you want to do it with. Finally not a picture of the trail I just hiked or the glass of wine I just drank, but the chance to do it with me! Download Who’s in!? now and help us help you get more SOCIAL!